Synopsis: Young Rudolf Nureyev becomes a top ballet dancer in Russia, but a life-changing visit to Paris soon makes him seek asylum in France. For his third film as director, Ralph Fiennes [Coriolanus (2011), The Invisible Woman (2013)] charts Rudolf Nureyev’s famed defection from the Soviet Union to the West in 1961, with the KGB efforts to stop him threatening to heat up the Cold War. The film’s title –The White Crow – comes from the Russian “belaya vorona”, or “white crow”, meaning an outsider or nonconformist, a person who stands out from his or her contemporaries. BAFTA winning screenwriter David Hare [Denial (2016), The Reader (2008)] has based his script on the biography Rudolf Nureyev: The Life, by Julie Kavanagh. Fiennes’ elegant and subtle film has three strands running concurrently throughout the narrative: Nureyev’s 1961 defection to the west in Paris, his time as a ballet student in Leningrad, as St Petersburg was then known, and his poverty-stricken wartime childhood in the provincial city of Ufa. 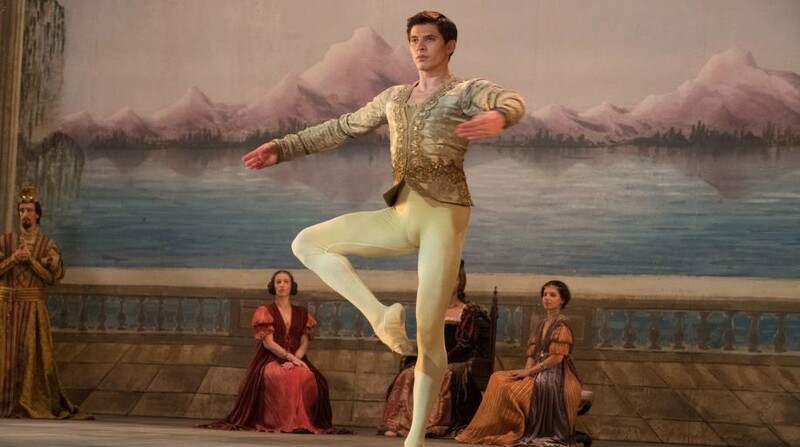 Oleg Ivenko, a Ukrainian dancer in his acting debut, is perfect as the mercurial Nureyev and compatriot, Sergei Polunin plays his early ballet school classmate, Yuri Soloviev. 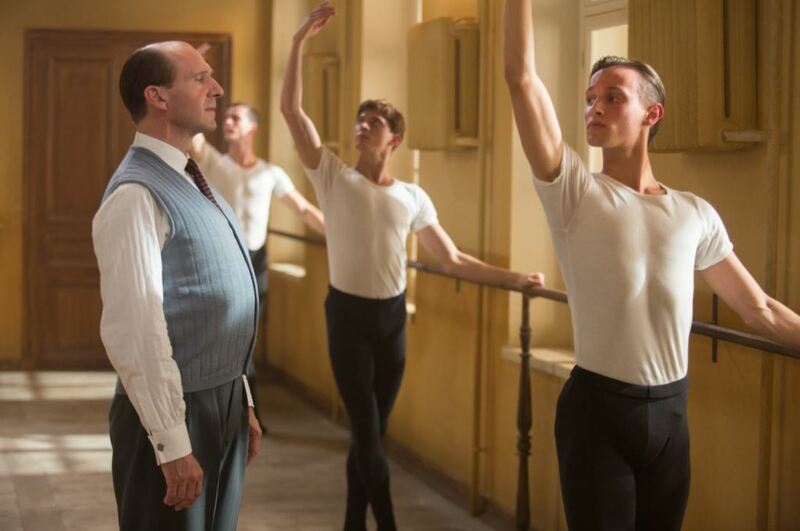 Fiennes takes a small role as Alexander Pushkin, Nureyev’s kindly teacher and mentor. The young Parisienne Clara Saint is played by Adèle Exarchopoulos [Blue Is the Warmest Colour (2013)]. Nureyev shocked the world of ballet when he defected to the West in 1961 at Paris’s Le Bourget airport, and the film is built round this event. His decision to defect was, apparently, a spontaneous one. The Communist authorities were irritated by the fact that he had spent much of his time in Paris in the company of Western intellectuals and at a gay bar, and they decided to send him back to Russia rather than have him travel with the Kirov Ballet to London, the next leg of their tour. The subsequent gripping defection sequence at the airport – with a tense jockeying of KGB agents and French police – is worthy of any spy thriller. The White Crow is an engrossing, revelatory look at a unique artist who transformed the world of ballet forever.